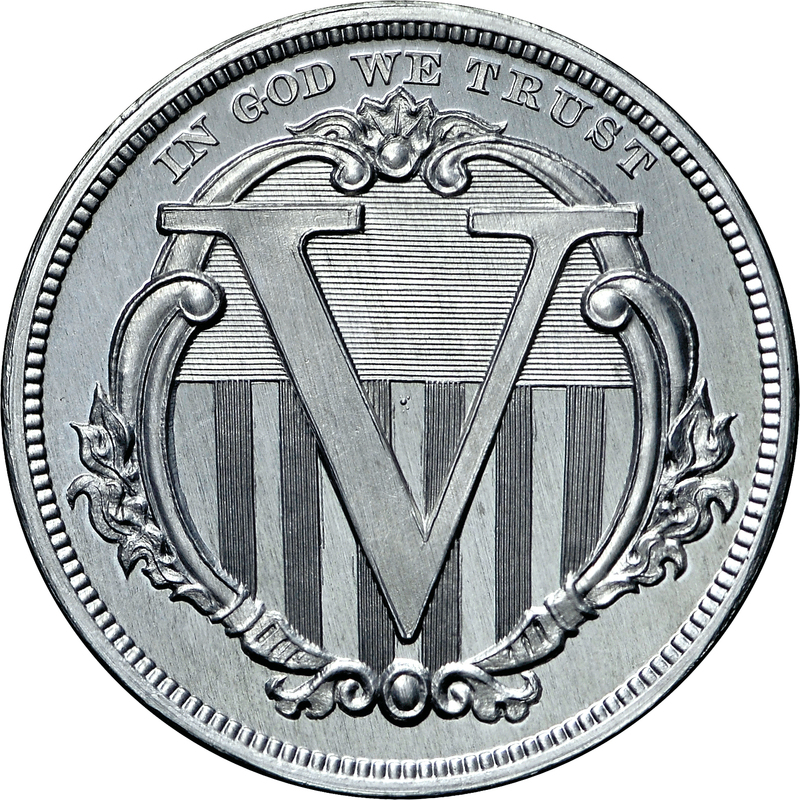 This obverse design is by James B. Longacre who included his name below the bust truncation. There is some question as to the original production of this pattern. Early notes, even including comments from Longacre, suggest that only 25 were struck. In 1868, however, a note was made in a copy of the sale catalogue offering the collection of J. Colvin Randall stating 100 were made. Since more than 25 examples survive, the figure of 100 made is perhaps more correct. It is unfortunate that more accurate records of pattern production are not available today. 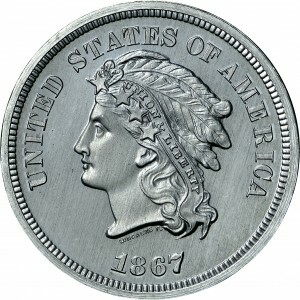 From Stack's ANA Sale of August 1971, Lot 561. Head of Liberty to left, four feathers and four stars in her hair, UNION & LIBERTY on a ribbon in her tresses, UNITED STAES OF AMERICA around, date below bust. 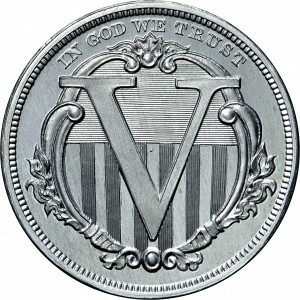 Round, ornate shield at center, large Roman numeral V superimposed on shield, IN GOD WE TRUST arcs above shield.